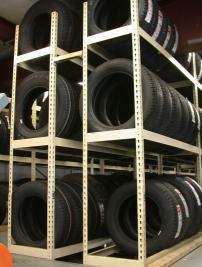 Speedi-Bilt Rivet Racks provide an easy to assemble Tire Storage System that can be set up quickly and adjusted as necessary to accommodate tires of varying sizes. 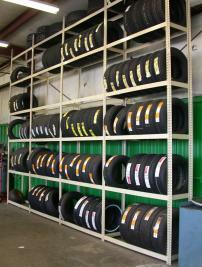 The stand-alone racking adds additional storage to complement the tire storage in the mezzanine system. Both systems are free standing and do not require support from the building structure.